These days, baby products must comply with a rigorous variety of safety requirements and checks before they can be marketed to mums and dads. Suffice to say that back in the day, pre-1980s, such checks were NOT in place. 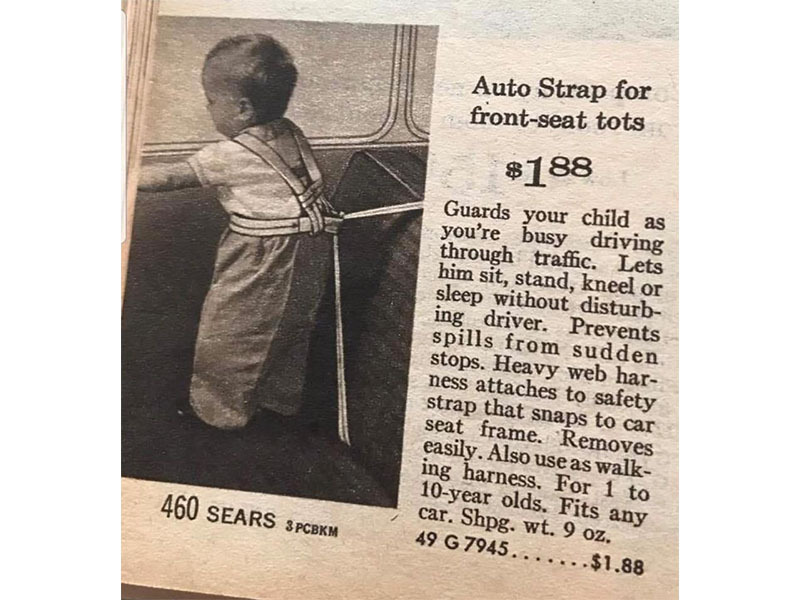 It was open season on unsuspecting first-time mums and dads, as marketers rubbed their hands together and cried “Ka-Ching!” Child safety? Not applicable … Gasp. "Lets him sit, stand, kneel or sleep without disturbing the driver." Okay just NO.